This is my first foray into Ayn Rand, not really knowing much about her philosophy except its focus on individualism vs collectivism. 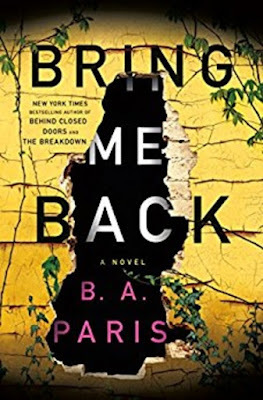 This is a dystopian novella, originally written in 1937, today's reader may find the story/plot cliched but one must remember those cliches came from these early writers of dystopia. It's a well-written story of a man finding himself rebelling against the post-apocalyptic world he's only known. He's being force-fed happiness and seeing through it now. It ends happily enough for him and a mate he meets of like-mindedness who escape. 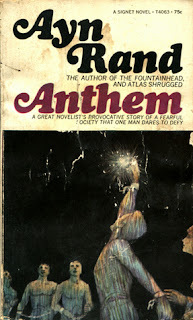 However, unlike dystopian books written today Rand had a purpose and agenda for writing her story. The last two chapters summarise what was wrong with this society they lived in (her thoughts on socialism) then continues with how the main character will build a better future (based on Rand's philosophy). I find her "individualism" to be similar to today's "libertarianism" and frankly disagree with all it stands for since they make man his own God. However, her observations on socialism and what have come to be predictions speak volumes on our world today where the "We" use "groupthink" to merge socialist ideas into realities in our present sorry society. I'm rather interested in reading more Rand, not that I agree with her individualistic, capitalist ideologies but I find her warnings of socialism prophetic and wonder whether I'll find her other observations while living through such an era enlightening. I read this last year and liked it! It was the first time I have read her and need to make sure it is not the last!